This photo today is a bit different. Sometimes I like to play in Black and White photography which is what I basically learned in. 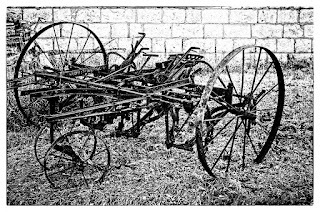 This old cultivator lent itself well to a monochrome treatment. It sits on a friend's family farm. 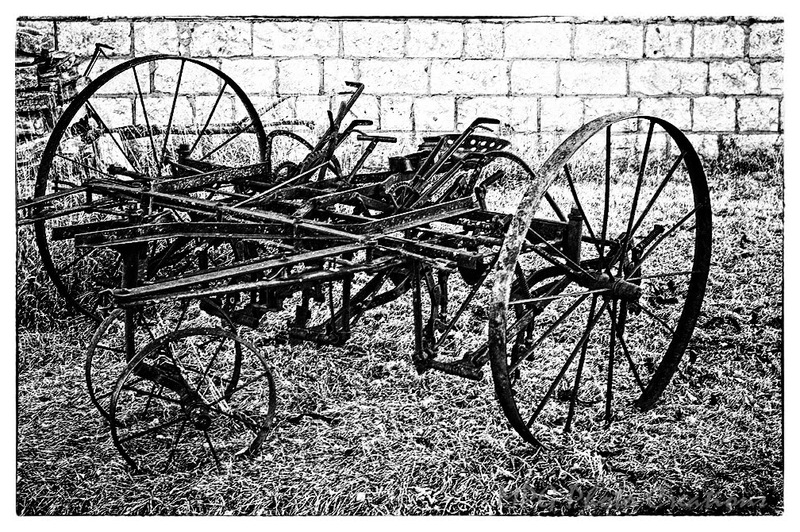 I gave it a bit of a gritty look which went well with the piece of equipment which worked in the dirt and grit.